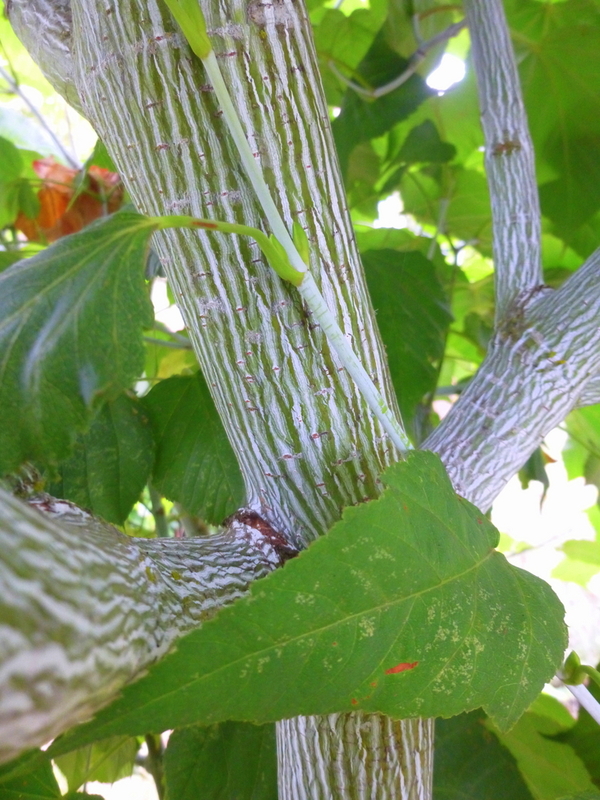 This variety has a significant advantage over seedlings due to its prominent white stripes on green bark, so much so that the trunk appears mostly white. Twigs and young branches are covered with a waxy white bloom - as on a grape skin. In winter the tree evokes a chalk drawing look in the landscape. Exceptionally hardy.